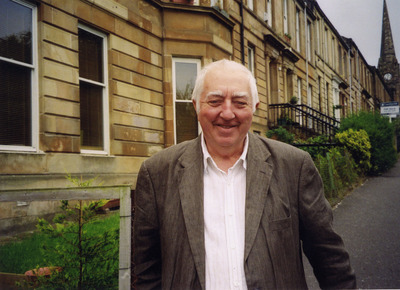 Founded in 1974 under the leadership of Professor John Eldridge, and with later support from Professor Greg Philo and others, Glasgow University Media Group (GUMG) was the first research group to develop a systematic analysis of TV journalism, particularly news broadcasting. GUMG contributed significantly to the evolution of public policy on TV news broadcasting, to how broadcasting companies re-thought the relation between straight reporting and editorializing, and to changes in the training of news broadcasters. Initial financial support came from a grant from the then Social Science Research Council, continued later by funding from the Economic and Social Research Council, the Joseph Rowntree Charitable Trust, UNESCO and others. The first work by GUMG focused on TV news coverage of industrial relations, then a matter of national controversy. The BBC and the Independent Broadcasting Authority were statutorily under obligation to be impartial in news reporting. In the early 1970s, the Left wing of British politics believed news coverage to be biased against the unions, while to the Right the conviction was that television was left-wing in orientation. The broadcasting organizations were unsure where the lines should be drawn between factual reporting and editorial comment and analysis. "all media presentations of reality are selective and are therefore impregnated with values, viewpoints and common-sense working assumptions." In 1974, the Labour Government set up a Committee of Inquiry into the future of broadcasting under Lord Annan, who reported in 1977. The Glasgow group submitted evidence to the Annan Committee, providing preliminary findings from their SSRC-funded research: their first major output, Bad News (1976) was made available. Using the recently available videotape facility, the Group was able to video all news bulletins on three channels over a 5-month period in 1975. These were subjected to a detailed content analysis, enabling the comparison of reporting by different channels or by the same channel over successive bulletins. This initial work laid the basis of a research methodology which evolved and was extended into other areas of national and social policy such as defence and disarmament, the Falklands conflict, famine, AIDS, the Gulf War and the Israeli-Palestine conflict. These innovations in skills and research method led to requests for advice from researchers in other countries, leading to similar work on how news information is organized and the implicit and explicit explanations that are put before the audience. This work ‘permeated deeply into the consciousness of the general public, even down to influencing the way some of the BBC’s own news trainees based their appreciation of its news coverage’ and was increasingly used in the training of TV journalists. Two major issues were addressed: (1) while broadcasters were not guilty of deliberate or calculated bias there were problems with the reporting, not just the failure to reveal the complexity of issues in industrial disputes but more generally in not adequately presenting a picture of industrial and commercial life in the UK ��" the issues had not been properly thought through: (2) the extent to which broadcasters themselves set the agenda: This raised further questions about the production process (how the linguistic and visual materials were handled) and reception (how the audiences responded to the news). John Eldridge is Emeritus Professor of Sociology. John Eldridge gained a BSc (Econ) from the University of London, and an MA from Leicester University. He is known for his work on Industrial Sociology and on Max Weber. 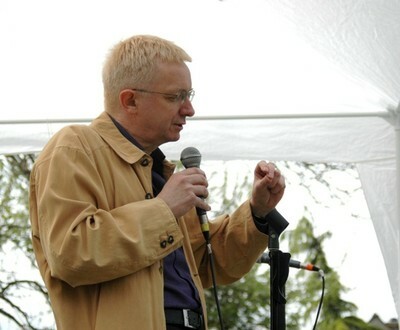 He is a founder member of the media analysis research group the Glasgow Media Group. He was President of the British Sociological Association 1979-1981. Find out more about his work in setting up the Media Group. Annan Committee. 1977. Report of the committee on the future of broadcasting. London: HMSO. Eldridge, J. 1995. Introduction: That was the world that was. In Glasgow Media Group News Content, Language and Visuals. London: Routledge. 1-26. Glasgow Media Group. 1980. More bad news. London: Routledge and Kegan Paul. Glasgow Media Group. 1982. Really bad news. London: Writers and Readers. World Changing Project, "First systematic analysis of TV journalism," in University of Glasgow World Changing (University of Glasgow, 2010); http://www.worldchanging.glasgow.ac.uk/article/?id=46 (accessed April 25, 2019). World Changing Project. "First systematic analysis of TV journalism." 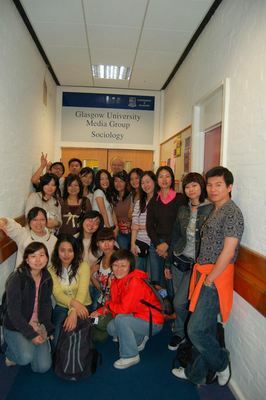 In University of Glasgow World Changing. University of Glasgow, 2010. http://www.worldchanging.glasgow.ac.uk/article/?id=46 (accessed April 25, 2019). World Changing Project. "First systematic analysis of TV journalism." University of Glasgow World Changing. University of Glasgow, 2010. 25 April 2019 <http://www.worldchanging.glasgow.ac.uk/article/?id=46>.